Are you looking for experienced and reliable renderers in the Bradford, West Yorkshire area? 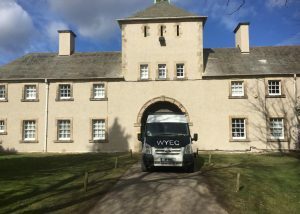 West Yorkshire Rendering Specialists have more experience than many of our competitors having been in the rendering business over 30 years. We are able to offer a vast selection of colours and different styles of render. We work throughout West Yorkshire particularly in Bradford and Leeds, but also further afield. 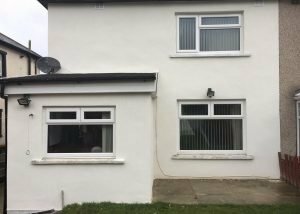 We carry out all types of rendering including silicone rendering work, traditional rendering and coloured rendering. We also are very experienced in other types of external coating including pebble dashing and textured coatings. Coloured render is enjoying significant popularity among renderers. 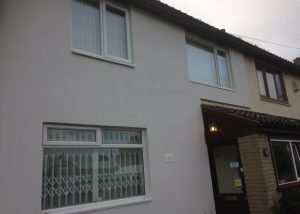 A great advantage of coloured render is that the colour is never damaged and can be power washed back to its original appearance, even after years of use. We offer a choice of over 40 colours, eliminating the need for external painting. 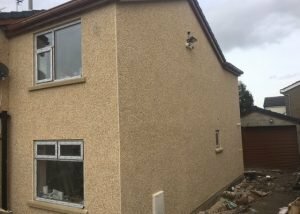 West Yorkshire Rendering Specialists have over 30 years’ experience as renderers in the Bradford area. Experience is vital in being able to produce high quality work. We always try to keep up with the latest trends in the rendering industry, such as the use of textured coatings, insulation render and coloured renders.